Take your event to a higher level of elegance with pretty table skirting. Choose flowing shirred table skirting or sophisticated box pleat table skirting to hide unattractive table legs out of sight. Available in all the same fabrics as our exquisite tablecloths and napkins, you can coordinate your special occasion in perfect style. 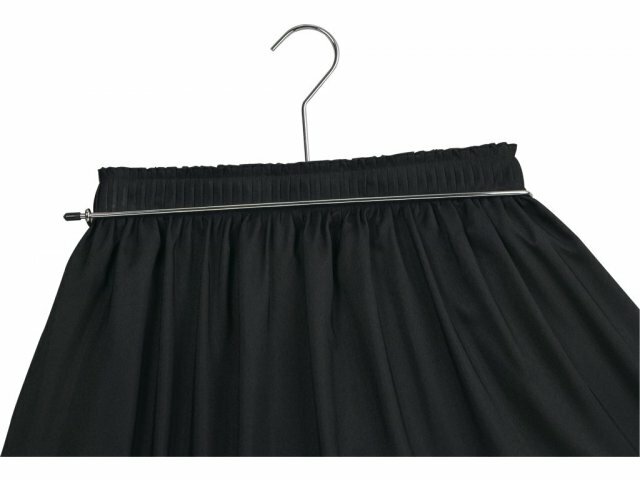 Made from durable polyester, table skirting is double-stitched. Dress your tables with minimum effort; just fasten the table skirting using a clip fastening system or Velcro backing that is pre-sewn onto the back of our table skirting. Woven polyester is a permanent press, soil-release fabric, constructed for easy care and durability. Basic Material; durable and easy to care for. Meets requirements of NFPA 701 Test Method 1 (Flame Propagation of Textiles). Easy Assembly:Skirting comes with Velcro “loop” pre-sewn onto its back, and fastens to tables via Velcro clips (included). Clips are suitable for use on all standard tables of maximum 3/4" thickness. 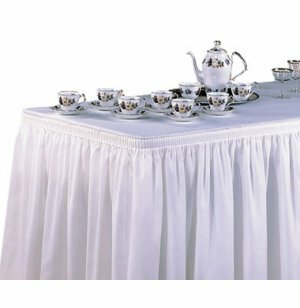 Hard-wearing: Strong fabric table skirting is double-stitched, and will dress your tables gracefully even after years of repeat laundering and tough use. Material is shrink resistant, and no-fade. Decorative: Add class and complement your color scheme with elegant table skirting, available in a wide array of fabrics to coordinate with our tablecloths and napkins. Choose from light spun poly, dark spun poly, woven poly and tuxedo striped material options. Made to Order: This item is made to order and is therefore non-cancelable and not returnable. Note: Skirting is priced per linear foot. Enter the total footage that you want of this style and color in the quantity box. When you check out, please indicate in the "special notes" box exactly how you want the skirting to be cut (e.g. 4 sections of 25 feet). Note: Skirting must be ordered in pairs of same style, color and length. 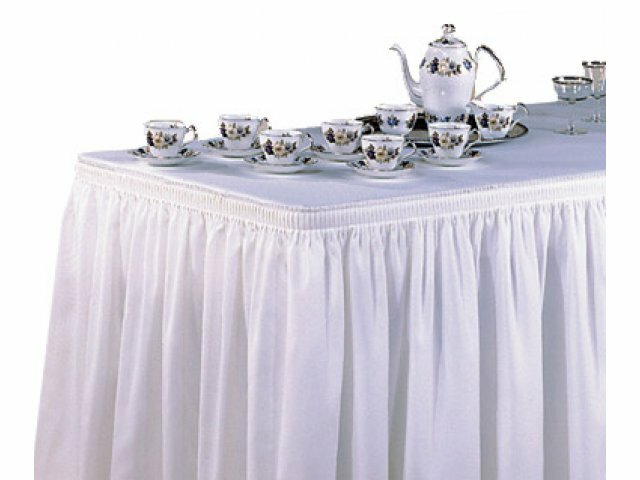 Alternate Heights: Table skirting can be ordered in heights other than 29". Please call for pricing.